One of our agents, Dan Arnold, describes the area of St Aulaye. "For me, one of the prettiest of the regions in the area I cover is in the north-west of the Dordogne in St Aulaye. Proving popular with tourists and UK buyers wishing to relocate, the area is within easy reach of the airports at Bordeaux and Bergerac. On the border of the Dordogne and Charente, the ‘Bastide’ town of St Aulaye dates back to 1288. Visitors can explore the charming cobbled streets and the delightful River beach, where you can splash in the water, fish and relax in the bar at the water’s edge. In the summer months there are guided walks, visiting the 12th century Roman church and Chauteax from the 13th and 14th century. There is a local campsite, with outside public pool, and restaurants within an easy walk of the town centre. 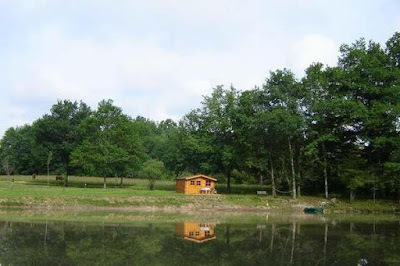 In the hamlet of St Antoine de Cumond, kids can have great fun at the gorgeous Lac de Jermaye – with its large swimming lake, beach and playgrounds. Mum and Dad can watch them from the restaurant on the sand. Just 25 minutes by car from St Aulaye centre: The Atlantic coast with its amazing Dune de Pyla is a couple of hours away – great for Ocean lovers. 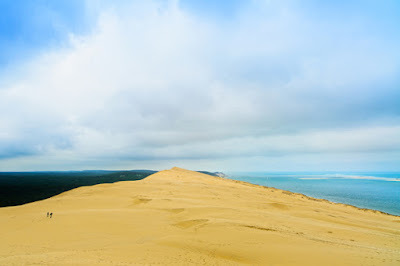 The soft sands stretch for miles and there are plenty of seaside shops and restaurants." 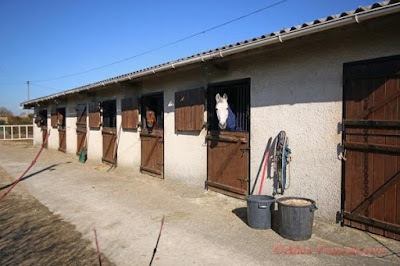 We are frequently asked for properties with land or stabling for horses so decided to compile a current list of those suitable for equestrian or other leisure pursuits. 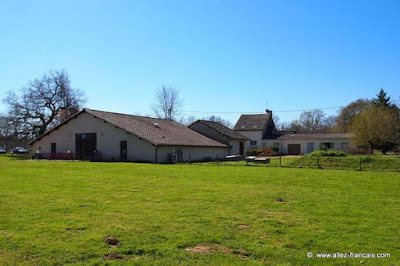 We also sell properties that produce a business income - properties with gites, gite complexes, B&Bs and the occasional fishing lake. 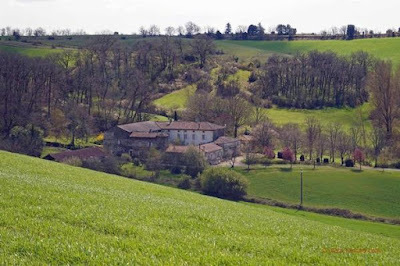 Email me peter@allez-francais.com if you would like any additional information or you have an Equestrian property to sell. Yesterday was particularly volatile for three of the major currencies. Sterling, Euro, and the Greenback all had major shifts throughout the course of the London session as a number of different economic data releases and announcements impacted the FX market. What Happened with the Pound? Sterling pairs saw a game of two halves yesterday. It looked as though the pound was going to be one of the major winners after the release of UK employment figures which saw a meaningful decline in the Claimant Count and Unemployment remain at 5.5%. It was not to last unfortunately for those holding Sterling. Carney, during the Quarterly Inflation Report, cut the Bank of England’s growth forecast to 2.5% for the year and suggested that the long-awaited interest rate hike may not happen until Q2 2016. Sterling quickly erased its gains and ended up dropping the best part of two cents against the euro before the day’s end. Much of the pound’s recent rise has been due to speculation over a 2015 rate hike in the UK. Weaker growth prospects and rock bottom inflation further distance the possibility and market participants were quick to adjust to the news. Why Did the Dollar Decline? The dollar too suffered a difficult day against its counterparts as the Greenback continued to slide. The catalyst yesterday was the US Retail Sales figures which missed analysts’ estimates. The dollar’s rise has also been a by-product of speculation over a coming rate rise. The Fed had suggested the beginning of Q3 or Q4 as potential dates; however, with weaker data becoming more the rule than the exception, the Fed may have to hold tight again. The euro had a better showing yesterday despite weaker GDP figures from its leading economy. Germany was expected to produce 0.5% growth but only managed 0.3%. The French were uncharacteristically smug yesterday morning after they managed to grow by 0.6%- all those bank holidays must be good for something after all! The main reason for the increase in EUR pairs was due to the weaker US figures. Whilst it might seem tenuous the Greenback is largely measured against the euro and the dollar’s movements tend have an impact on the value of the Single Currency as the graphs shown attest. In short yesterday was a stark lesson in the importance of timing. 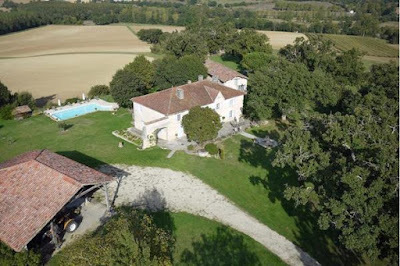 The difference in price for a €200,000 property yesterday, between the highs and lows, was £2,500- which is a lot of wine and cheese to enjoy on one of the many French bank holidays! Keep in touch with Allez-Français via this blog to keep abreast of all the relevant news and data that can help build your budget and add value to your currency trade. Today is relatively light on economic releases as, surprise surprise, there are bank holidays in France and Germany.Back in the world of the working there are no economic releases of note from the UK and the US are due to issue readings of PPI and their Initial Jobless Claims numbers. FTSE 100 and £ surges on election outcome............ It looks like a Conservative victory. The financial firm UBS wrote in a research note: "It appears that we will avoid weeks of uncertainty and horse-trading as there is the ability for the Conservatives to form a government perhaps relatively quickly." We have been saying for weeks that the £ / € rate has been volatile because of the threat of a "hung" parliament and another coalition. The markets likes certainty, consistency and stability and this will happen as the Conservatives are returned to power. The British pound is trading close to a two-month high against the US dollar. The £ is surging against the Euro, with a gain of 1.5% this morning. Analysts say sterling jumped because the projected result meant the government's agenda was likely to stay consistent. 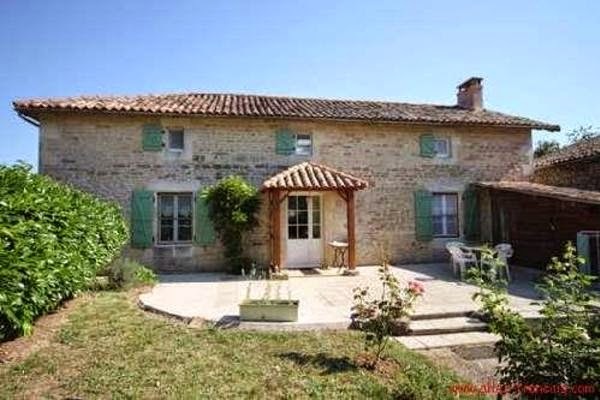 Now is a great time for UK buyers to invest in France. The £ looks likely to strengthen further. For our sellers returning to the UK, you need to speak quickly to our currency dealers to talk about locking into rates before they move further against you. My recent contribution to an article by Emma Rawle. 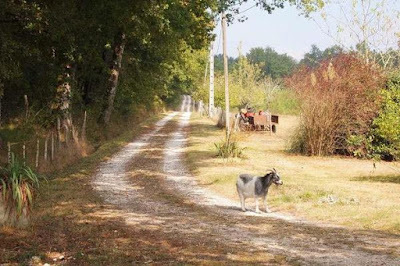 The essential information property buyers need to know about the Dordogne Valley, including property prices, transport links, weather, attractions and the latest on the property market. This weekend in my home town of Beaulieu-sur-Dordogne (as happens on the 2nd Sunday in May every year) we will be celebrating the feast of the strawberry! As well as an extensive market and plenty of produce to buy, there is a giant tart made by all of the bakers and patissiers of Beaulieu and all visitors are offered a slice in the afternoon. 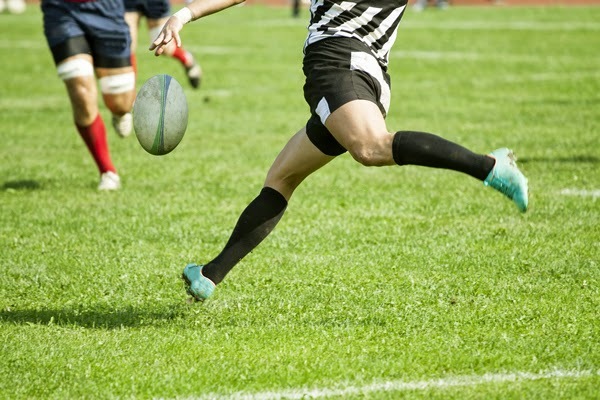 The French equivalent of the Premiership in Rugby Union is the Top Quatorze, (top 14 teams). Amongst those 14 teams are 6 from S W France, 2 of which are close to our hearts, being Brive and La Rochelle. Within the Allez-Français team, there are the commercial agents, headed by MD Peter Elias, plus Kim & Nigel Cowles based in the Poitou Charentes, Nikki & Richard Morford living in the Perigord Vert, Lisa Maitland in Gascony, plus Dan Arnold close to Bordeaux & Bergerac. 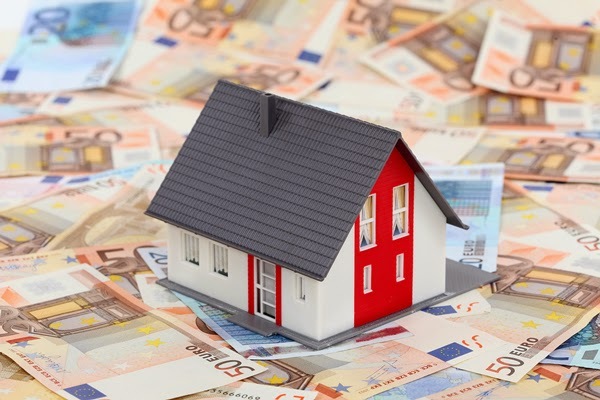 In addition to these 7 are another group of individuals, playing a vitally important role in making Allez-Français one of the leading property agents in France. Bridget Elias is officially the secretary of both the SARL & Limited Company, but may also speak to clients when they phone through to our offices. She has stepped back in recent years from her previously active role in sales, but still maintains good contact with “old friends” (clients), and deals with a lot of the French enquiries. Lisa’s partner Jason often helps her with viewings and when she takes on new properties. He is an expert with the camera and master of floor plans! Dan’s wife Jo also gets involved, particularly when he is overrun with enquiries & viewings. That is, when she is not bringing up their young family, and managing their gite / chambre d’hotes business. So that makes 10 stars within the business. Who are the other 4? Well, the agency is an internet based business, and Matt Frisch from Port 80 Services has been our webmaster now for over a year, having been responsible for the Mark 2 version of the site which was introduced in 2014. It goes without saying that a reliable site is essential, and one that is easy to navigate. The AF site wins plenty of compliments from our clientele. Adam Bobroff is one of the first contacts that most of our serious clients get to speak to. One of our dedicated foreign currency dealers, Adam can secure preferential rates for AF clients, and has worked with us as an integral part of our team for over 10 years. 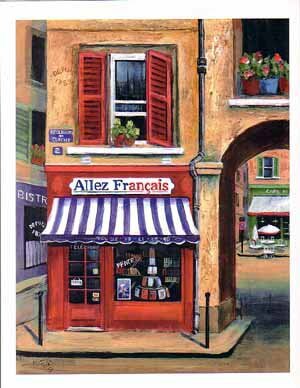 Foremost Currency Group are the preferred currency dealers of the Allez-Français team. Finally, Christian Perron, who is the MD of the JeSuisAgentImmobilier network. We have worked with Christian since 2008, and once more he is seen as an integral part of our set-up. Allez-Français is the No 1 agency within the JeSuis network, and for 2014, our own Richard Morford was the top selling individual agent. Christian is always available to us, virtually 24/7, and has been 100% behind us in our goal for success in this business. So there you have it – our very own Top XIV – and very hard to beat ! Today is Labour Day in France and a bank holiday. This website is dedicated purely to properties that offer business potential. Here we currently have around 100 properties that we have identified as being suitable for operation as Chambre d’Hôtes or Gîte businesses. They may not be currently up and running as such, but they all have the potential. 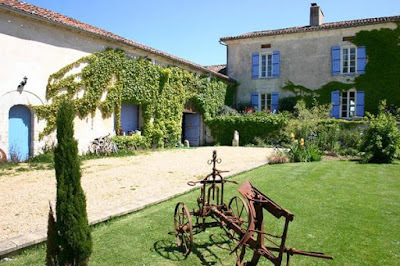 Many people making the move across to France, need an income from their property in France, and often the preferred choice is a gîte business or B & B activity. There are of course many other business options, including restaurants, camp sites, equestrian centres to name but a few. We have grouped all of our suitable properties together on this site, to facilitate the search for those clients looking for a property that can produce an income. The new website also gives some helpful information if you are looking to start a business venture in France, and if you are interested in finding out more please just send me an email and I'll be back in touch - bank holiday or not!